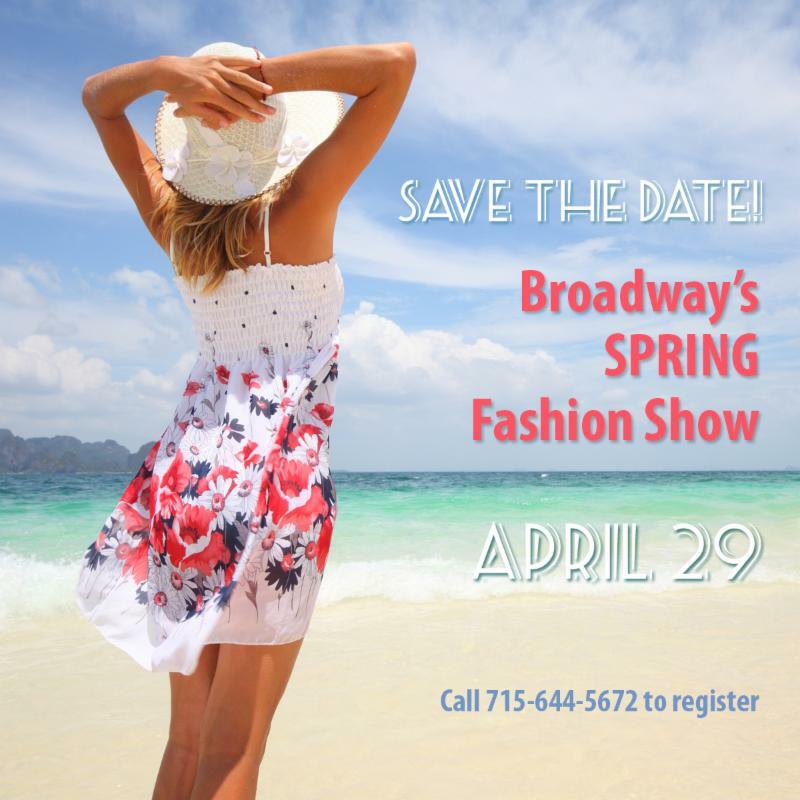 Broadway fans, it’s the month you’ve been waiting for! 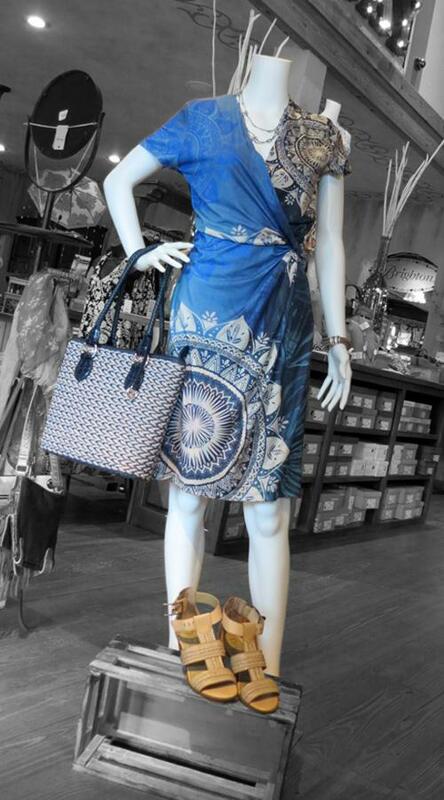 The store is bright with fabulous style and we are planning something special for our SPRING FASHION EVENT. You won’t want to miss it, so save the date! Looking to build your wardrobe around a few signature pieces? Consider this easy care dress. 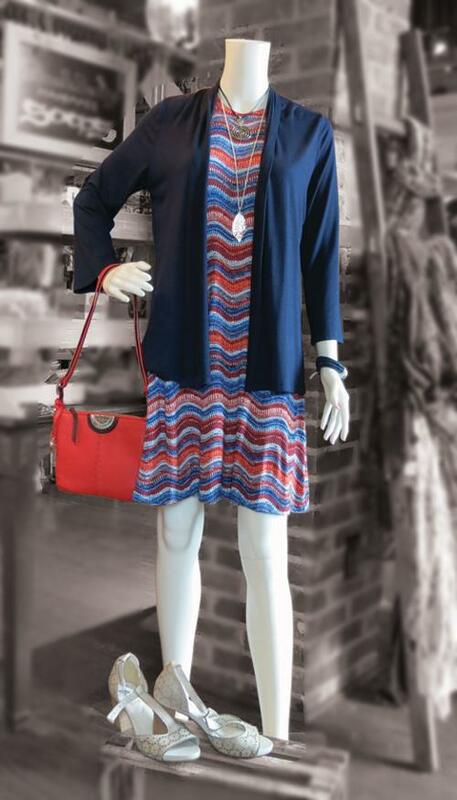 Layer a soft navy cardigan over it and finish the look with some sweet silvery sandals. That same dress can also be used as the foundation for a more casual look when paired with a leather zip up jacket and sassy denim booties. 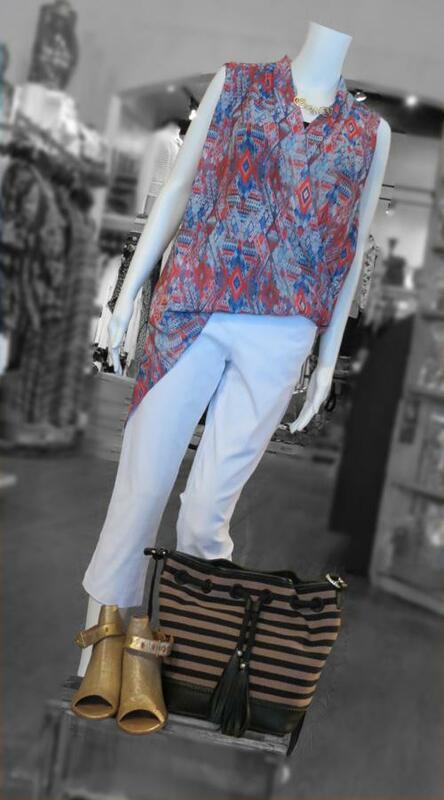 Celebrate the warmer temperatures with this lightweight geometric patterned top with white capris. Don’t forget the gold footwear and striped bag. 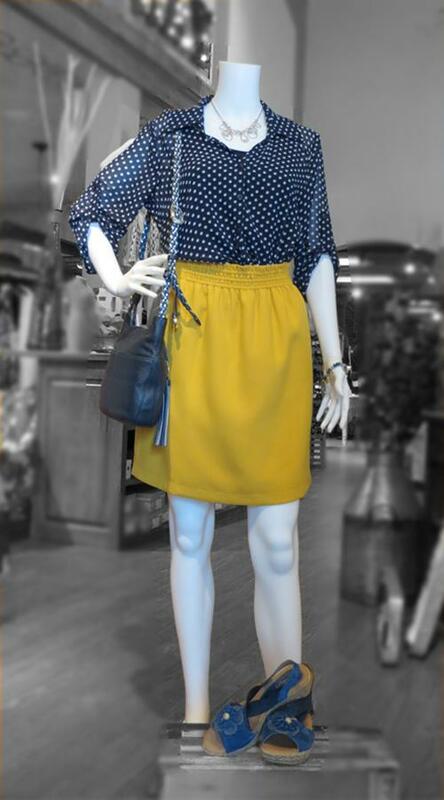 What could be a more feminine look for spring than pairing a navy polka-dot blouse with a yellow skirt? We love the cute flower embellishment on the sandals–the perfect touch. 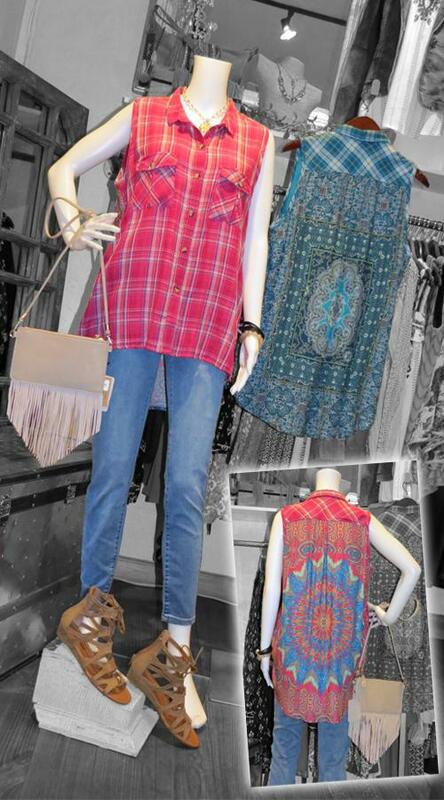 A trend we adore: the sleeveless country chic blouse. The bright plaids are eye-catching and you will love the detail on the back. Truly unique! 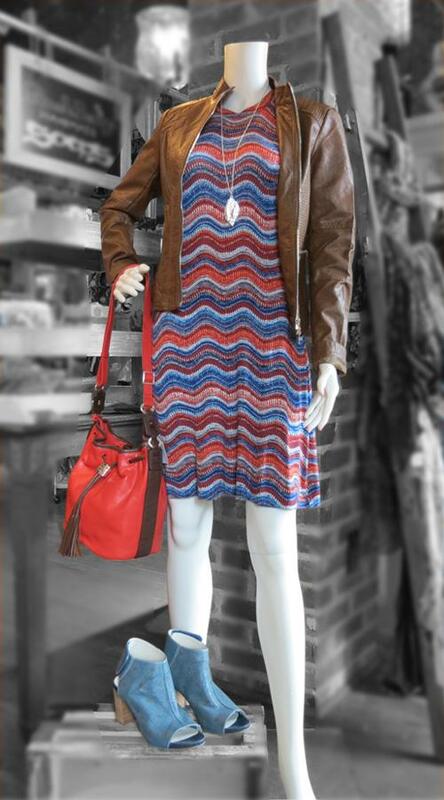 Here’s your sure cure for any lingering winter blues: This beautiful wrap style dress in multiple hues and patterns.